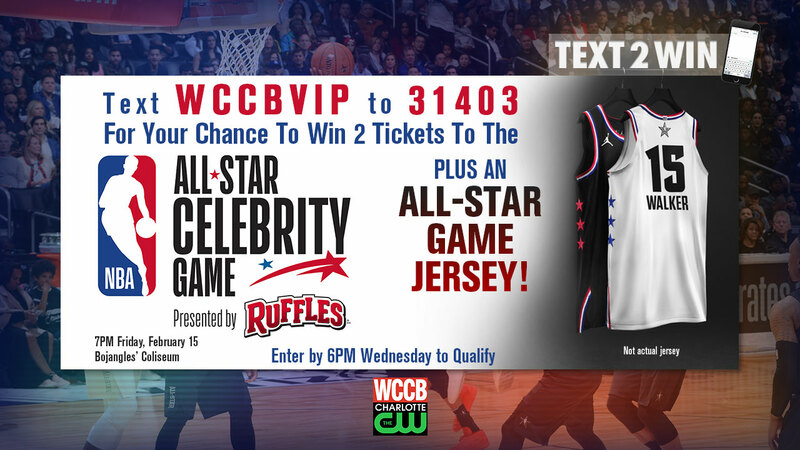 Charlotte welcomes the NBA All-Star weekend February 15 – 17 and WCCB Charlotte’s CW is giving away a pair of tickets to the All-Star Celebrity Game on Friday, February 15th at Bojangles’ Coliseum PLUS an All-Star Game jersey! For your chance to win, join the WCCB Text Club by sending WCCBVIP to 31403 by 6 PM Wednesday, February 6th. Shortly after that time, a code word will be sent to all registered Text Club members. Reply with that code word before 9 PM the same day to enter the contest. For more details and ticket information, head to nbaevents.com. 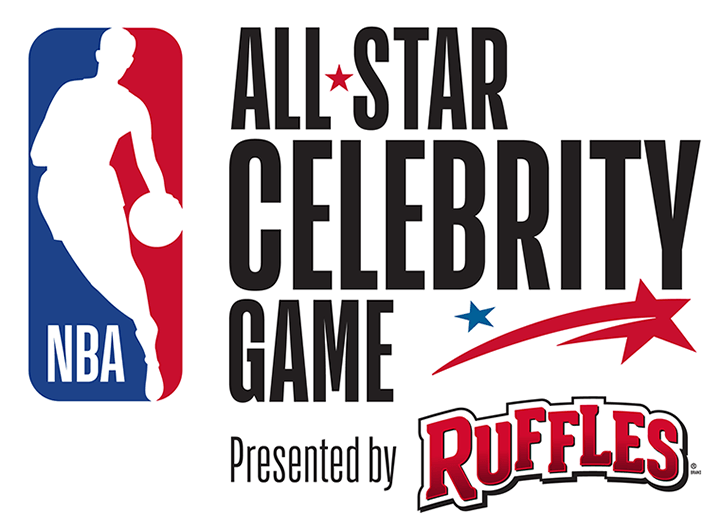 1 Winner: One winner will receive two tickets to the NBA All-Star Celebrity Game, 7PM Friday, February 15th at Bojangles’ Coliseum and one All-Star Game jersey (style and size determined by promoter) (ARV $0). HOW TO WIN: No purchase necessary. Viewers must join the WCCB Text Club by 6pm Wednesday, February 6th, 2019 by texting WCCBVIP to 31403. Between 6pm and 7pm the same day, the VIP text club will receive a code word to text back for a chance to win. Winners will be randomly selected at 9PM and sent a confirmation text detailing how to claim the prize. No prizes will be mailed. Deadline to join the WCCB Text Club to qualify for this contest is 6PM Wednesday, February 6th, 2019. Deadline for entries is 9PM Wednesday, February 6th, 2019. ELIGIBILITY: No purchase necessary. To win, you must be 18 years or older and a legal resident of North or South Carolina. No employee of the NBA, Spark Strategic Ideas and their affiliated artists and promoters (“Sponsor”) or WCCB-TV (“Station”), their affiliated companies, his or her spouse, or immediate family members and/or those living in the same household of each shall be eligible to win. Immediate family members include, but are not necessarily limited to, parents, brothers, sisters, nieces, nephews, aunts, uncles, cousins, and grandparents. Employees, or relatives of employees, of any television or radio station in the Charlotte Nielsen DMA or Charlotte Arbitron ADI are not eligible to win. Additionally, Station reserves the right to disqualify any other person from participation in the Contest where such participation would, in the sole opinion of Station, compromise or give the appearance of compromising the integrity of the Contest. No person shall be eligible to win any contest conducted by the Station more than one time in any sixty-day period. 6) Winner will be notified by text no later than 10PM on Wednesday, February 6th, 2019. Winner must follow the details in the confirmation text to claim the prize. Prize must be claimed during business hours by 12PM Noon Thursday, February 14th. Failure to claim by this time will result in forfeiture of the prize and another winner may be chosen. No prizes will be mailed. Do not come to the station unless instructed to do so.